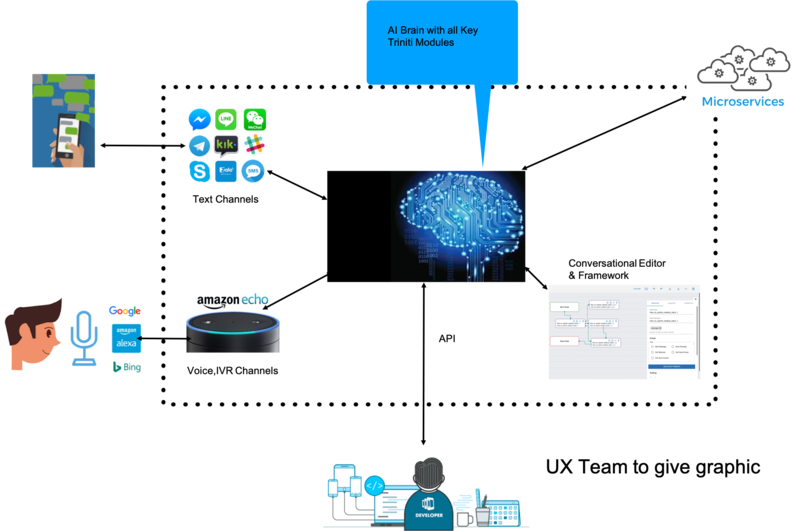 Triniti is a cloud based service that enables developers to build conversational experiences across multiple channels on voice and text. Triniti applies cutting edge algorithms across Deep Learning , Machine Learning , Natural Language Understanding to extract intents and comprehend in depth meaning from user utterances. Developers can utilise the Triniti Channel and Fulfilment framework to build end to end conversational services or use the REST API to extract meaning from user utterances. API’s are accessible directly or via easy to use SDK’s. Check out HelloTicket , a conversational ticket booking services integrated to Sky-scanner API’s to find your next flight and see how easy it is to build conversational apps on Triniti. Setup intents with sample utterances , define entities and define conversation dialogs. Define fulfilment using either the Conversational Workflow Editor or via web hooks to your own API’s which can optionally use the conversational workflow framework. 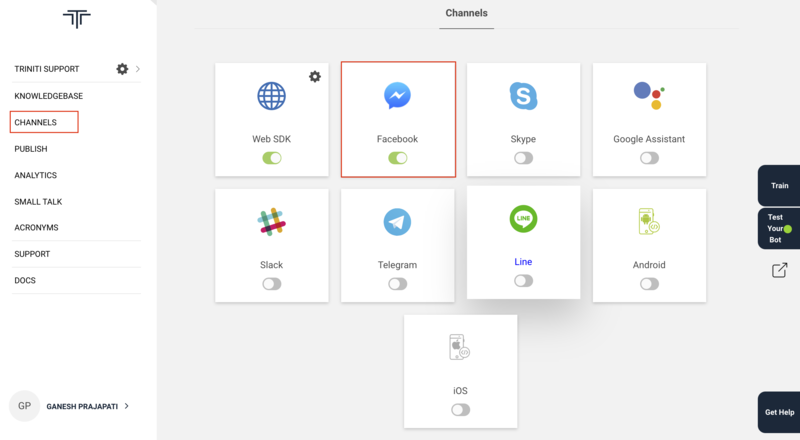 Choose and setup which channels across web, mobile, social messengers, voice, IOT, & IVR in which you want to render the conversation service on. Setup FAQ from your existing knowledge base with minimal annotations and variants, use triniti’s variant generation capability (beta) to generate synthetic variants. Train your data sets using Triniti’s high compute infrastructure. Test your workspace via the enabled channels, setup automation to make the testing process more efficient. Fine-tune the results by leveraging actual usage data from your end users via the Self Learning report and add back to training data. Take your workspace live .